Help us celebrate the start of our 10th year of ARTafterDARK! 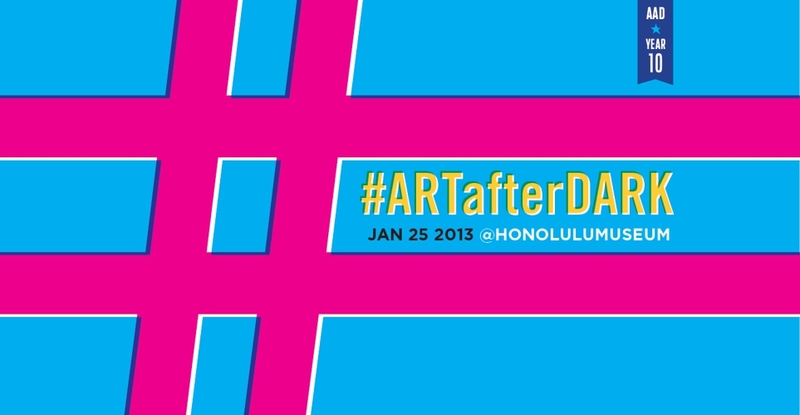 We'll have Instagram and Twitter contests related to the museum this Friday at #ARTafterDARK. Instant prizes will be given away throughout the night for engaging on Facebook, Instagram and Twitter. 6:15pm: Clones of the Queen give a preview of their 8pm Secret Sound Showcase performance. 6:45pm and 7:45pm: The Deadbeats. Funky, jazzy, hip-hop sounds. All night: Screenfuse Social media integration platform on the big screen. Visit the 10 newly reinstalled European and American galleries to participate in an Instagram contest (there'll be three activities, so get your posing, drawing and thinking skills ready!) for a chance to win an ARTafterDARK VIP Experience Prize Package. ARTafterDARK VIP Experience Prize Package includes: VIP admission for four people to any 2013 event, two bottles of Champagne, dinner for your party, a reserved table and parking, plus a private guided gallery tour. Check out the new Contemporary Art exhibition Serious Fun for a Twitter caption writing contest. The most creative entry wins a $50 gift certificate to The Grove in Kailua. Artist Lauren Roth will sketch your portrait—while time lasts. Watch artist Mark Norseth paint a portrait in the Members' Only Mediterranean Courtyard. The Grove makes its ARTafterDARK debut, serving classic food and drinks with refreshing new twists. Secret Sound Showcase: Clones of the Queen, Pink Mist, & Taimane Gardner, 8pm at Dorris Duke Theatre, $10. Plan on going to ARTafterDARK and Secret Sound Showcase? You can skip the line to get into ARTafterDARK by buying your ticket at the Doris Duke Theatre entrance (at the rear of the museum, on Kinau Street) along with your concert ticket.